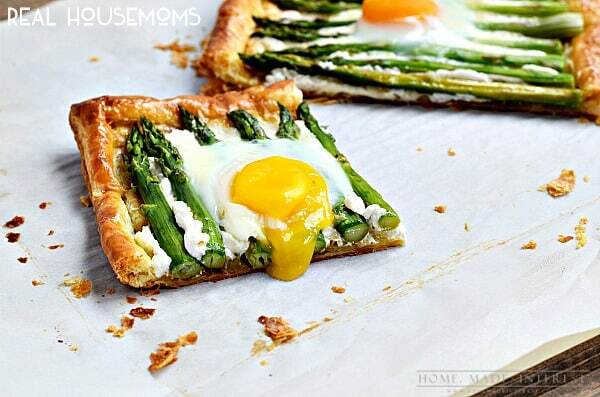 Tender asparagus, tangy goat cheese, and baked eggs served on a crispy puff pastry make this Asparagus and Goat Cheese Tart perfect for breakfast or brunch. I love breakfast and brunch food, especially brunch because it means I don’t have to get up as early to make it. 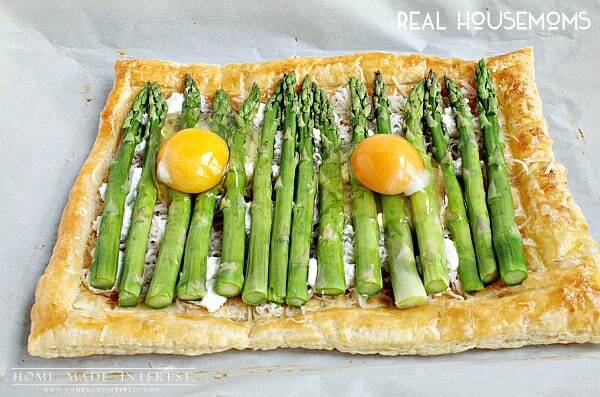 This Asparagus Goat Cheese Tart is one of my favorite things to make because it is beautiful and delicious. The bright green asparagus with those pretty baked eggs on top just scream Spring to me and I love the brightness of the tangy goat cheese and lemon. It’s a pretty awesome way to start the day. It’s also really simple to make, which is always a plus. You start with thawed store bought puff pastry. 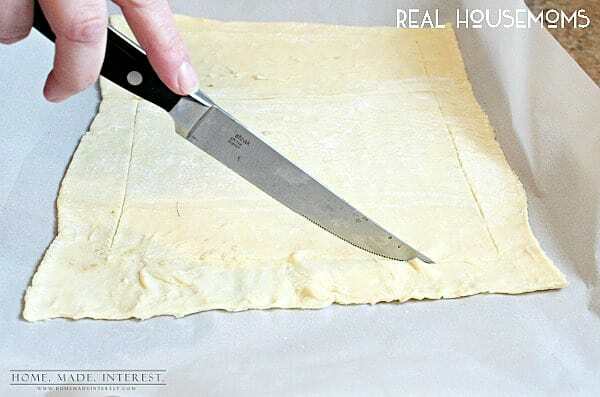 On a piece of parchment paper roll the dough out into a rectangle and then use a knife to lightly score a smaller rectangle shape into the dough (don’t go all the way through!). Prick the inside of the drawn rectangle with a fork. This will make the edge puff up and leave the center lower. Brush the outer edge with egg whites to help it brown, and then place it on a baking sheet and put it in the oven to bake for 10 minutes. This will partially bake the puff pastry. While the pastry bakes wash and trim about 15 asparagus spears (or however many you will need to cover the puff pastry). You will want to soften the asparagus spears slightly by either boiling them for 1-2 minutes or steaming them. I wrap my asparagus spears in a damp paper towel and put them in the microwave for 3-5 minutes. Super quick and easy and I don’t have to wash an extra pot. Don’t overcook the asparagus you want it to still be crisp but just a little softer than when it is raw. When the puff pastry comes out of the oven sprinkle Gruyere cheese and goat cheese over it and then lay the asparagus spears on the cheese. Crack 2-3 eggs over the asparagus, being careful not to break the yolk (you can skip this part if you don’t like baked eggs), and then put the tart back in the oven for another 15-20 minutes. When the crust is golden brown and the egg whites have cooked the tart is ready. Doesn’t that runny yolk look amazing? 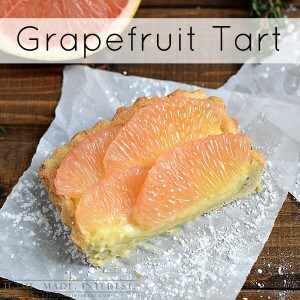 Squeeze a slice or two of lemon over the top of the tart and then cut it up and dig in! 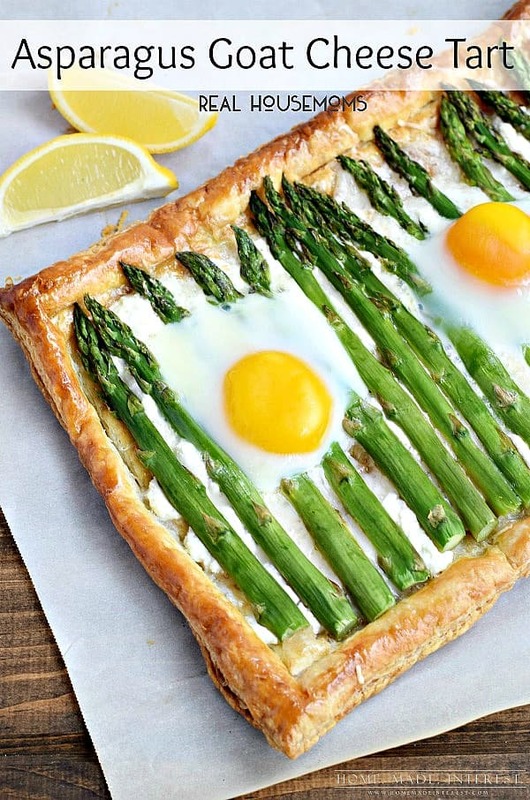 Tender asparagus, tangy goat cheese, and baked eggs served on a crispy puff pastry make this Asparagus and Goat Cheese Tart perfect breakfast or brunch recipe. 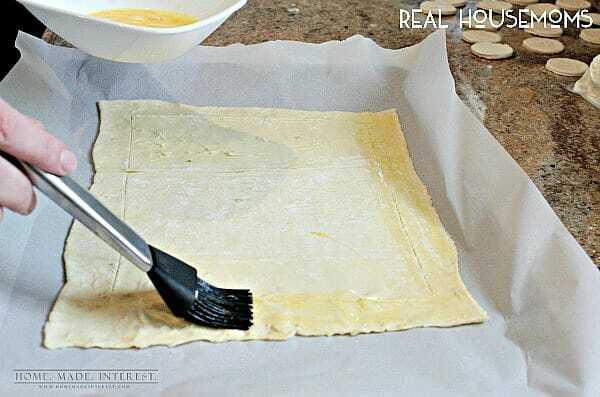 Use a knife to lightly score a small rectangle shape into the dough (don't go all the way through!). Soften the asparagus slightly by either boiling them for 1-2 minutes or steaming them. I wrap my asparagus spears in a damp paper towel and put them in the microwave for 3-5 minutes. Crack 2-3 eggs over the asparagus, being careful not to break the yolk (you can skip this part if you don't like baked eggs). When the crust is golden brown and the egg whites have cooked the tart is ready. 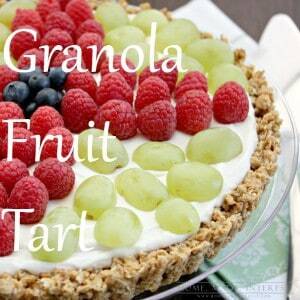 Squeeze a couple of slices of lemon over the tart and then cut and serve. Oh my, this is simply gorgeous- and looks totally delicious!